Here are a few more renderings I did from my college days. These are marker and pastel on canson tone paper. The mid 50's Buick at the top was an idea for a modern lead sled custom with a chopped top, radiused wheel wells and 18" rims. 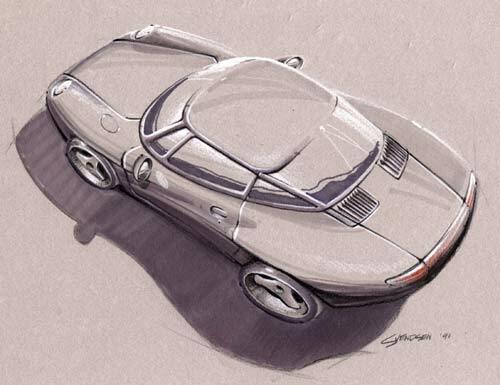 The Porsche at the bottom was a rendering of the Pan American concept car.